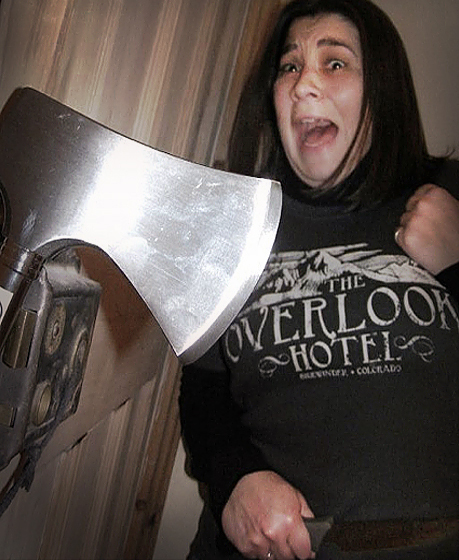 It was a tough call again this month, but we decided Heather Rose’s tribute to the infamous axe scene in The Shining was the best picture of March. Thanks again for all entries, it’s much appreciated. We intend to include a Gallery section on the website soon where all the best non-winning entries will be posted, if yours appears let us know and we’ll send you a FREE T-shirt. If you’d like to enter our competition in April to win 3 Last Exit to Nowhere T-shirts, send your photos/image manipulations to info@lastexittonowhere.com. Good luck and stay sharp team.